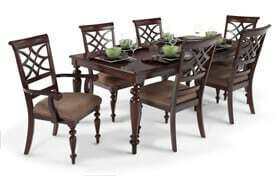 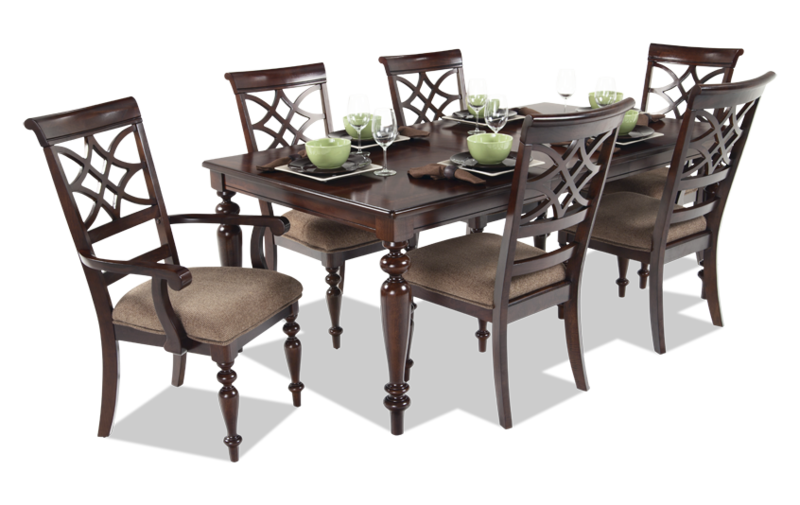 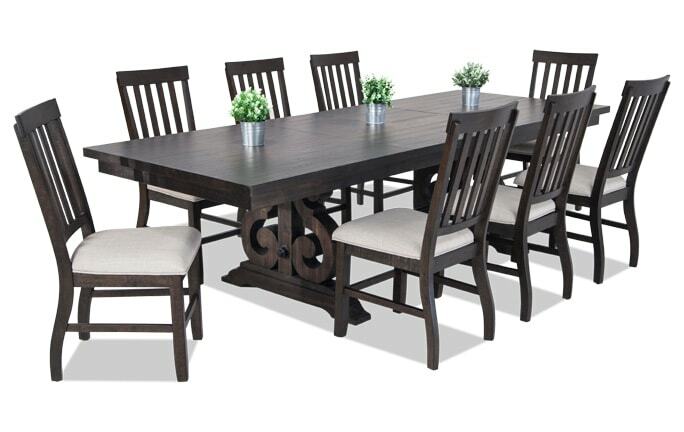 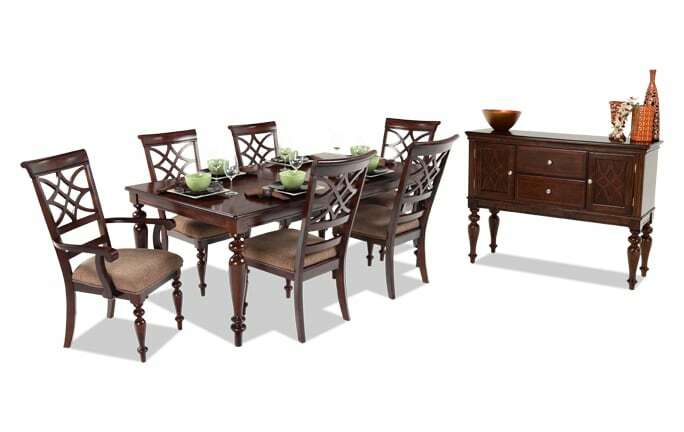 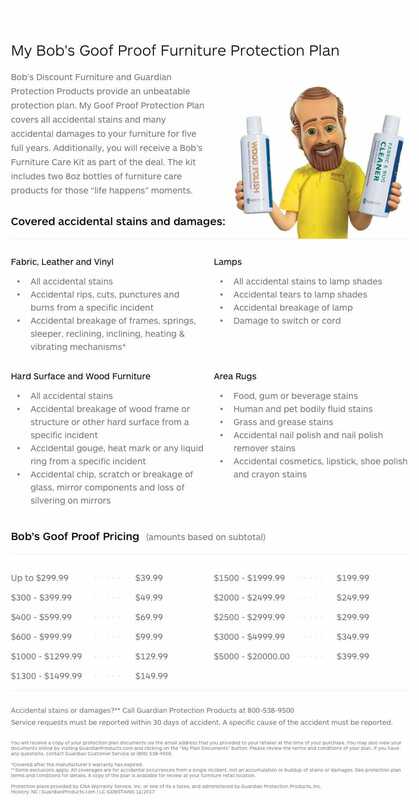 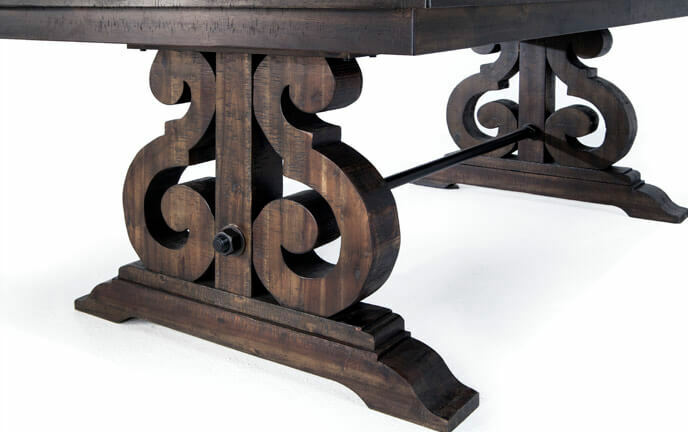 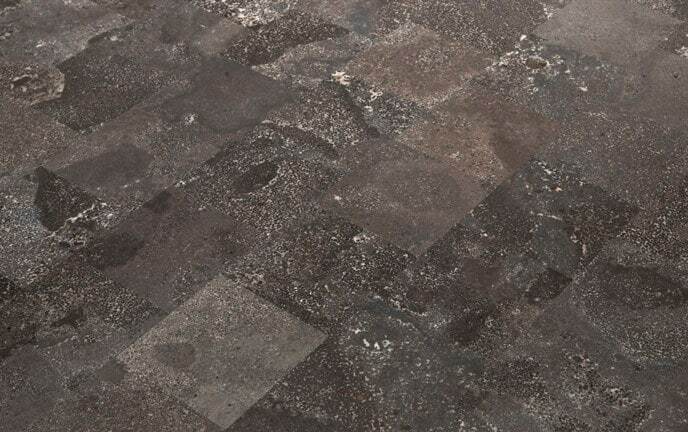 My Woodmark 7 Piece Dining Set has all the detailing you typically see on high-end furniture, but without the crazy price tag! 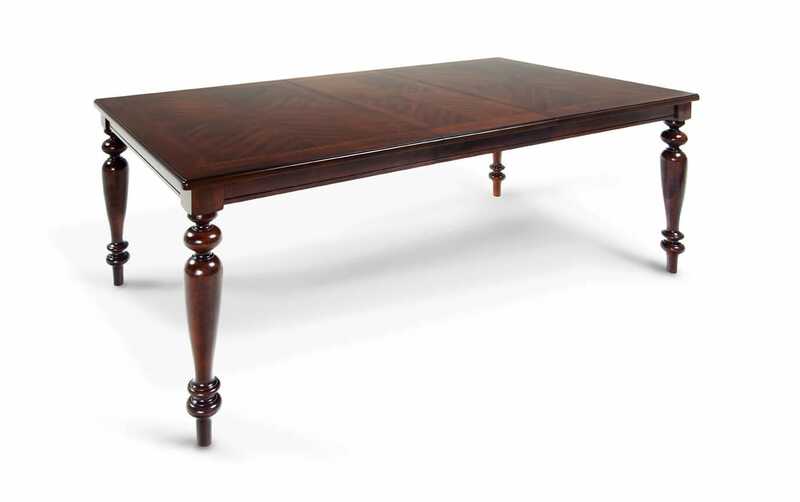 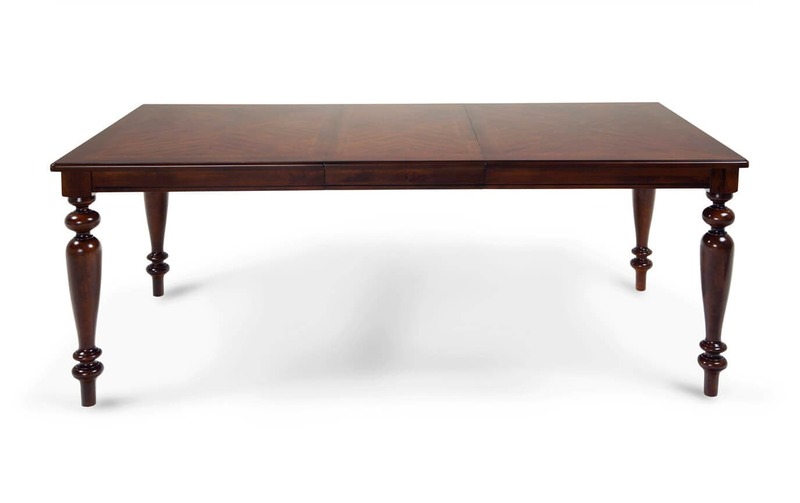 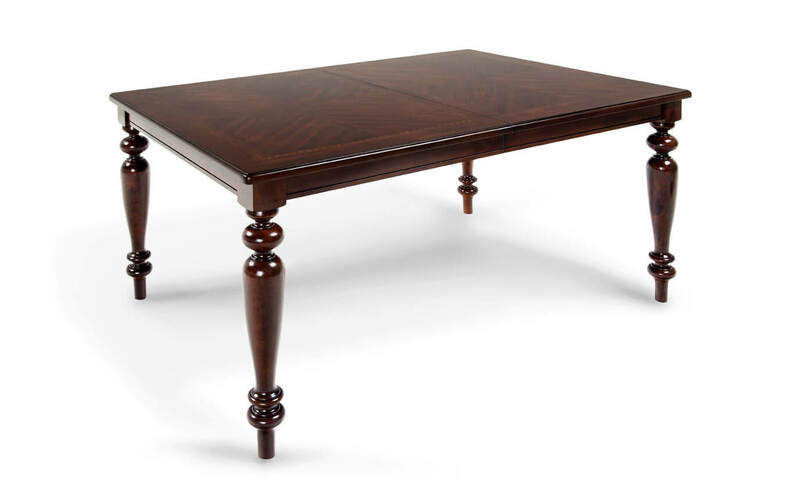 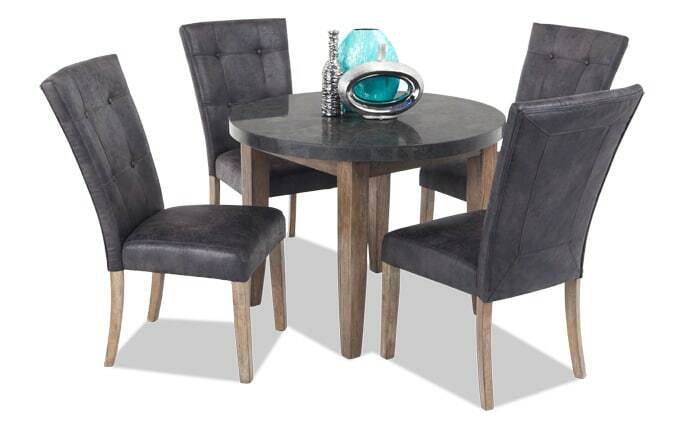 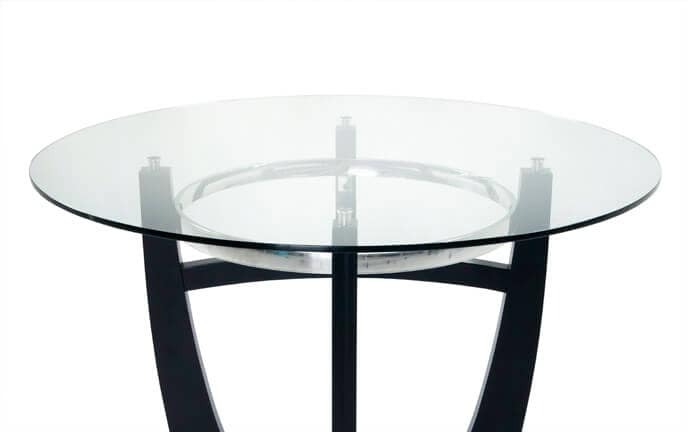 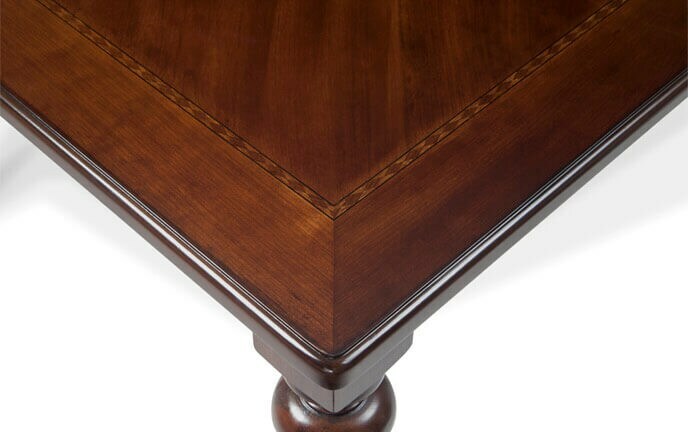 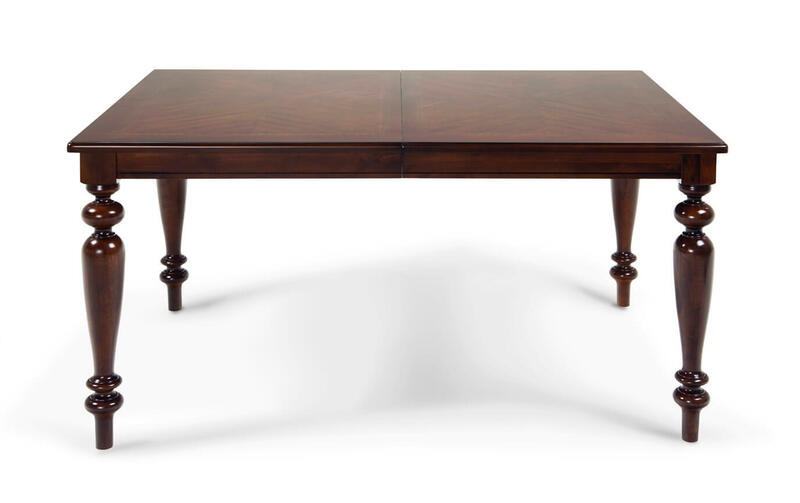 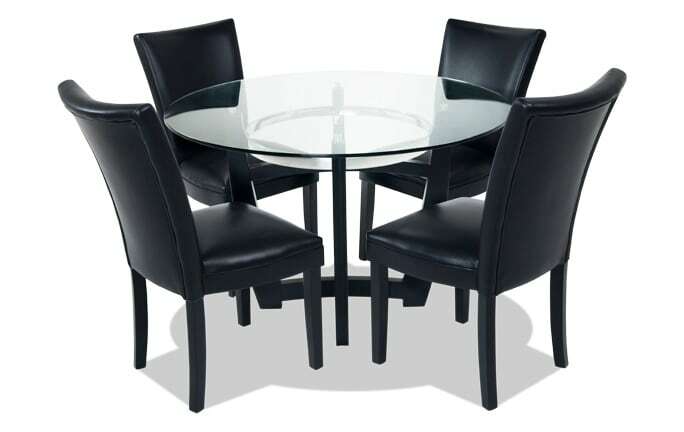 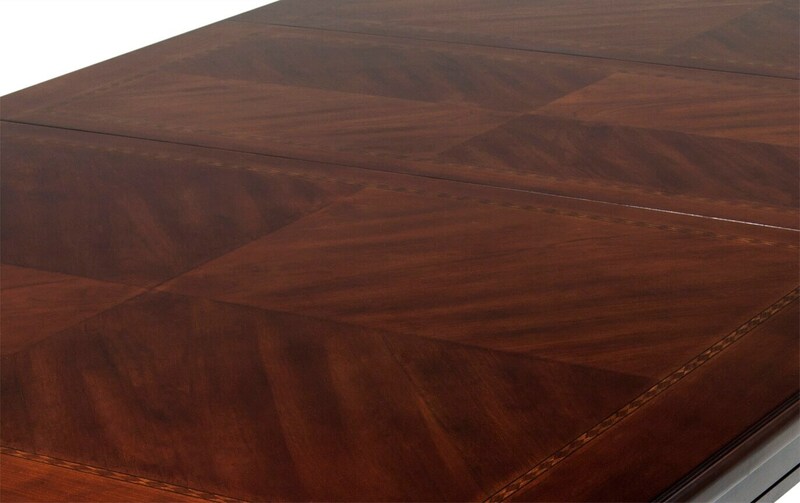 Complete with an elegant cherry finish, cherry veneers, and Asian hardwood solids, the dining table boasts top quality and value. 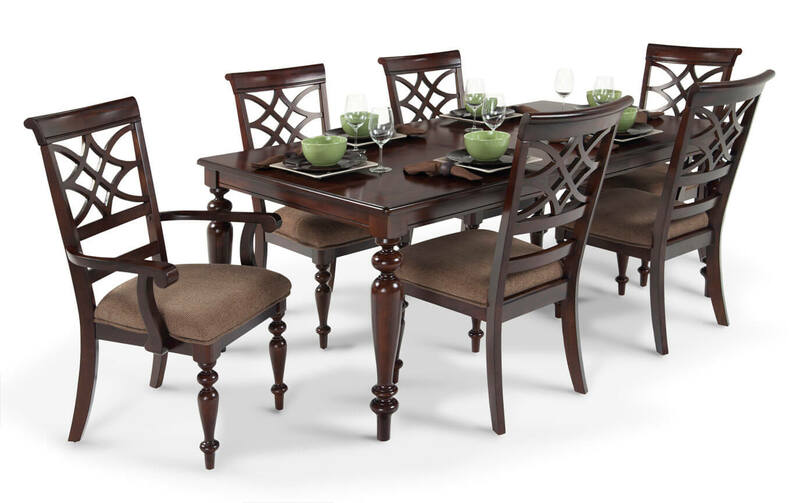 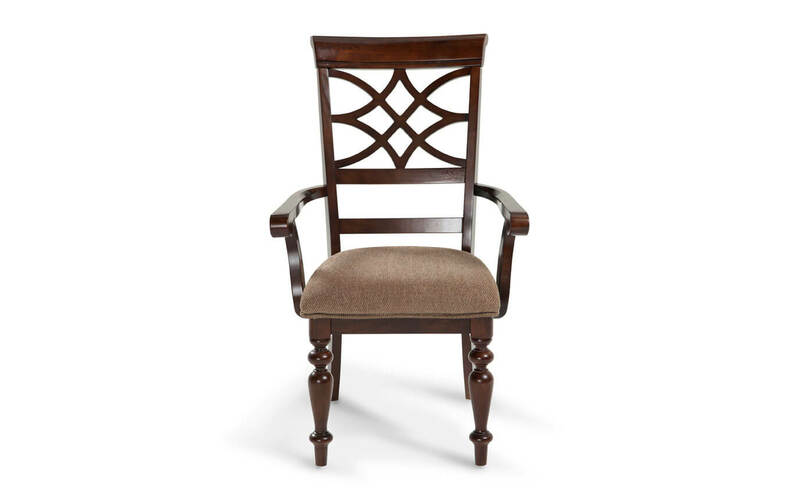 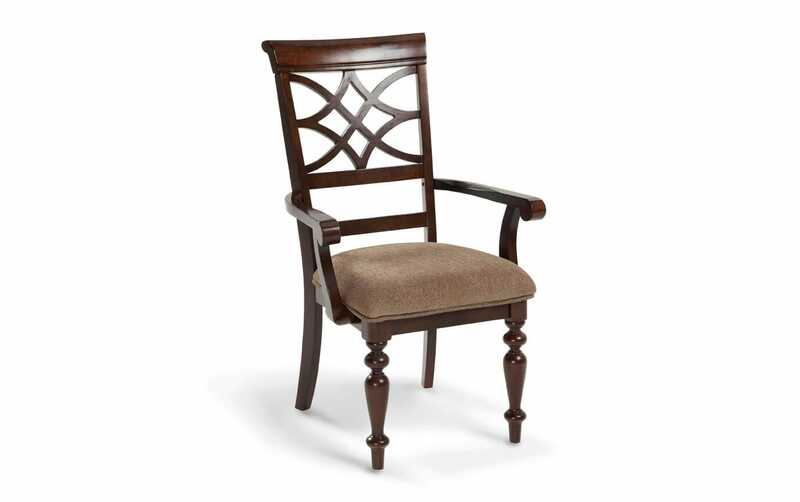 Don't forget the six stunning chairs with intricate details, and the dining table leaf as an added bonus!